Vodafone is back in Moto G territory with the Smart Ultra 7, an own-brand smartphone designed to replace the decent Smart Ultra 6 from last year. The new model is a smidge more expensive — £135 on pay-as-you-go, rather than £125 — but offers an ever-so-slightly more luxurious design. The Ultra 6’s grey plastic shell has been swapped our for the same faux-leather look found on Vodafone’s cheaper Smart Prime 7. It doesn’t scream style, but neither will it attract much attention in a conference room. Like the Ultra 6, the Ultra 7 comes with a 5.5-inch, 1080p display and 2GB of RAM. Qualcomm’s Snapdragon 615 has been swapped out for an octa-core MediaTek processor — we’re not sure if that’s an improvement — and the battery has been trimmed from 3,000mAh to 2,960mAh. Any perceivable leaps in performance will, therefore, be marginal, although we found the Ultra 6 to be snappy enough last year. Provided you’re not playing intensive games like Asphalt 8: Airbone, you’ll probably be okay. The best part of the Ultra 7 is, arguably, the software experience. Like the Ultra 6 and its popular competitor, the Moto G, the latest Vodafone handset runs a near-stock version of Android. You’ll get 6.0 Marshmallow out of the box with no whacky wallpapers, icon packs or menu customisations of note. It’s the experience Google intended, albeit with a few (nine at my count) Vodafone apps thrown into the mix. While these are still a nuisance, they’re a small price to pay in comparison to other, more overbearing Android modifications slapped on by countless phone manufacturers. The Ultra 7 is a logical, if unexciting successor to the Ultra 6. (A trend for Vodafone, it seems, after the Smart Prime 7 and Smart First 7.) It’s worth looking at, especially if Vodafone is your network of choice in the UK. Given its enterprise-ready design, however, we suspect it’s been developed with the workplace in mind. The phone seems a good fit for well-paid executives who want to quickly equip dozens, if not thousands of workers with a respectable Android smartphone. 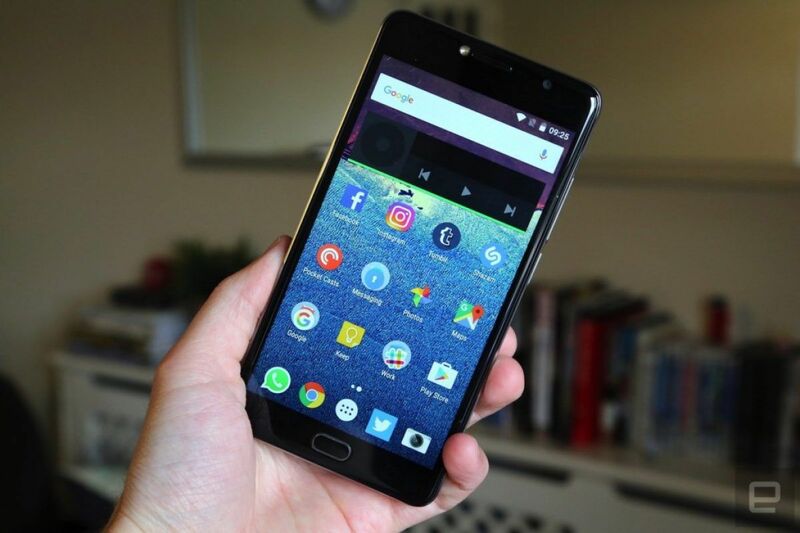 It’s not a flagship contender like the Smart Platinum 7, but it should be more than capable of handling email, calls, texts and the usual repertoire of social media apps.